IWM (Industrial Washing Machines) has recently announced that it will be expanding its offer to include TEIJO top-loading, single-stage and multi-stage component cleaning machines. By becoming a UK distributor for TEIJO products, IWM is adding to its portfolio general-purpose industrial cleaning machine systems as well as machines that are specifically optimised for use in the automotive and industrial manufacturing sectors. TEIJO machines use water-based technology, obviating the need to use expensive and potentially hazardous solvents. They are ideal for pre-cleaning of components before welding, removal of anti-corrosive treatments before machining, cleaning of engines and engine parts, descaling of cylinder heads and many similar applications. Eco-friendly and robust, TEIJO machines are designed with a closed cleaning fluid system which filters and reuses fluid, creating significant water and energy savings. The fluid normally consists of water and 1 to 5% detergent, depending on the application. The machines achieve excellent detergent economy, as the wash liquid can be reused for up to several months, depending on the degree of soiling. 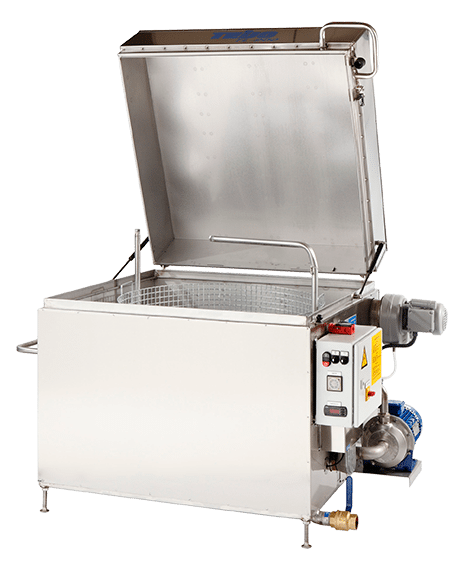 Multiple-stage alkaline cleaning, descaling and rinsing, wax removal and rinsing, phosphating and rinsing, are just a few of the many functions offered as standards with the TEIJO multi-stage cleaning machines. To reduce energy consumption, the maximum temperature of the washing fluid is set at 80 degrees Celsius. The short heating time and large fluid tank ensure that even the most soiled components are easily and reliably cleaned every time. Based in Finland, TEIJO has been manufacturing off the shelf and bespoke industrial cleaning machines since 1967. To date, the company has delivered over 14,000 machines to companies based in Scandinavia and Europe.